What if I told you that you could simply and easily revive an old or older book and start making sales on it again? Would you be game? 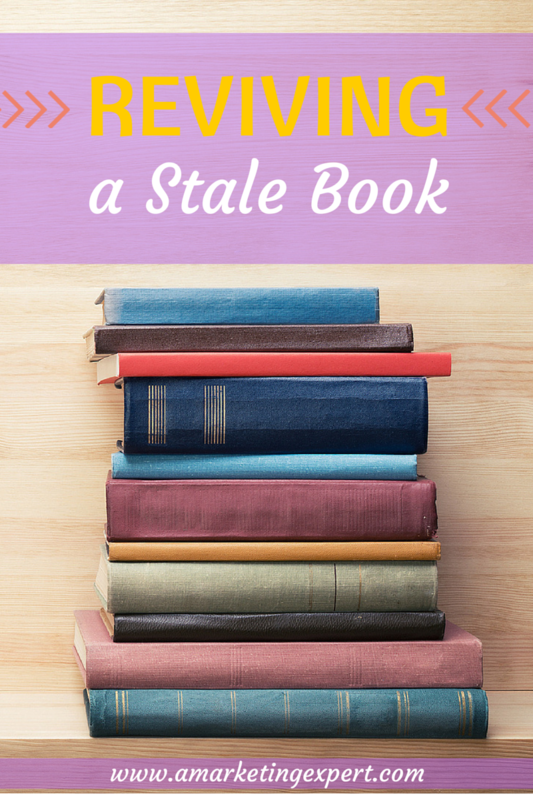 Most of us who have been writing for a while are sitting on a lot of content and a lot of older books that are taking up virtual shelf space on Amazon. I was at an event a few weeks ago and an author there said that he had a science-fiction/fantasy book that had been out for a few years and it hadn't done well. "I sure wish I knew then what I know now," he said. And I realized that for him, it's really not too late. This is an issue a lot of authors face: a book that's been out for a while and you feel like you've really exhausted your options. Book sales are sagging and you figure it's over. Well, it's not. 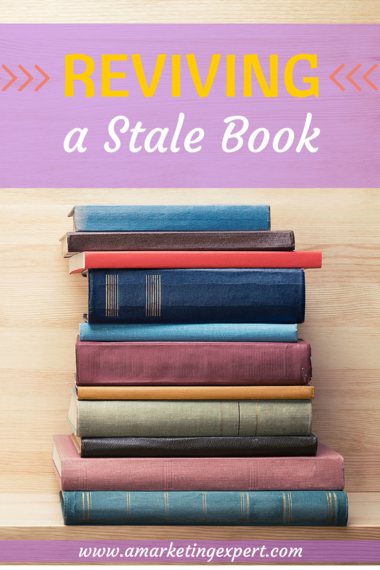 You have a ton of options now to revive, renew, and even re-release a book with minimal effort. Release it in eBook: Let's look at this first because this is often the easiest to do. Many authors with older titles haven't done anything with them digitally and now is the time to do this. If you are someone who's been published by a traditional house, see if they have the rights to your digital content. Many old contracts don't have this provision so be sure and check. What do you need to do? Most savvy eBook folks can work with a PDF of the book, and course, a Word doc works well, too. It will need to be converted to a digital format and that's it. It's pretty easy. If you do this, you may also want to freshen up the book cover and add some quotes you got. Bundle eBook: The guy I spoke to about his Sci-fi book also told me that his book was long, 330 pages to be exact, and I said: "Why not split it up and re-release it as a series and a bundle?" Even if it's the same book it does not matter. Some folks like shorter books, we know that. And it's also a great way to start owning the virtual shelf. A longer book can be separated out (make sure you chop it at a natural ending point in the book) and then put these separate segments up on Amazon. With a book that's as long as his is, you could do three separate eBooks. Make sure that you have a page in the back of each book that leads the reader to the next book in the series. Also, doing this will now also revive your publication date and bring it current. This will open up new options for promotion and reviews, too. Change up the cover: Earlier this year we had one of our authors redo a cover for her book - one that's been out for a while. When we did that, sales started spiking again. We had another author who tried this and it worked again. I was at an event last weekend and an author told me she did this, too. It's not an Amazon algorithm thing per se, but it's often the newly, refreshed content that helps to spike visibility of the book because it looks new to readers, especially if your book is genre fiction. These readers are always on Amazon looking for a new book to read so it's a great way to grab their attention. Short is the new long: We have all heard that we should "own the shelf," which means that you want to publish a lot, and pushing out new content to Amazon in the form of an eBook can help propel your other, older books, onto a reader's radar screen. If you have white papers, blog content, pieces of your book that you didn't include or cut because of length, you can package these up and release them on Amazon, An example of this is an author we're working with who wrote the third in a series of books. The third book had a lot of content removed to keep it at a particular length. She's going to take the content that's been removed and release it in a "Director's Cut" version, putting the separate segments on Amazon. If you do that, make sure that all of the books lead to all your other books with a page or link or something to direct them. There's a lot you can do with a book that's been out for a while. As long as the content is still relevant there's almost nothing you can't do to it to revive it and give it a second chance. Keep in mind that once you do revive it, you can start to pitch it or, in some cases, repitch it, to reviewers. Sometimes authors will tell me that they've already pitched certain reviewers for their book and didn't get a response the first time around, should they pitch them again? The answer is yes, you should. Once you have a new book, it's like a clean slate. Make the most of it!